PSA/Peugeot-Citroen has hired top McKinsey consultant Yves Bonnefont as strategy director following the surprise departure of the automaker's second-in-command executive Jean-Marc Gales. Bonnefont, who ran the consulting firm's global automotive practice, joined PSA on Jan. 10 and reports to CEO Philippe Varin, the carmaker said on Friday. The appointment comes amid sagging sales and profitability at Europe's second-biggest automaker after Volkswagen. Frankfurt-based Macquarie analyst Jens Schattner said Bonnefont's appointment is not a change of direction. PSA is in a difficult situation because its core European market is under increasing pressure, Schattner said, adding: "They have the right strategy of growing international volumes and upgrading the brands but it will take years to implement and the pressure is short-term. There's no easy answer." 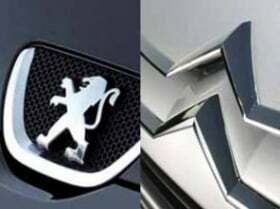 On Thursday, PSA said it will speed up its strategy to globalize its operations and move the Peugeot and Citroen brands upmarket. PSA aims to reduce its heavy dependence on a weak European market by boosting sales in China, India and South America. The automaker plans to achieve 50 percent of sales outside Europe in 2015 and two-thirds in 2020, compared with 42 percent in 2011. PSA is also seeking to boost the value of it brands by focusing on more expensive cars after increasing the proportion of upscale vehicles to 18 percent in 2011 from 13 percent a year earlier. The upscale models include the Citroen DS line and the Peugeot 508. The company said on Thursday that its worldwide sales declined 1.5 percent to 3.5 million vehicles last year, with European sales falling by 6.1 percent to 2.05 million. The group warned in October that its core automotive division would likely post a loss for 2011. The company will report 2011 financial results on February 15.